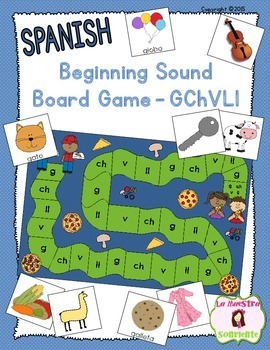 This game helps students to develop the ability hear and identify the beginning sounds of words that start with G, Ch, V, and Ll. 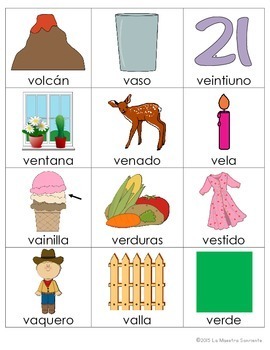 Students take turns choosing cards that contain a picture. 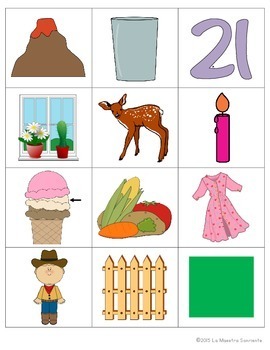 Students say the word that the picture represents, identify the sound at the beginning of the word, and move to the nearest space with that letter on the game board.